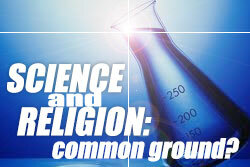 Science & Religion: Common Ground? Do you get distracted from God’s purpose? Perhaps it’s time for a change of plans! Dave: Do Science and Religion conflict? Jeff: Isaac Newton, the famous scientist was also… a theologian! Dave: That’s right, he STRONGLY believed in God and actually wrote more about God than he did about science. Jeff: Wait, did you say Isaac Newton wrote more on God than he did on science? Jeff: Although he is known primarily as a scientist, we shouldn’t miss that. And he isn’t alone Kepler, Galileo, Copernicus – all of these scientists believed in God. Dave: In fact, belief in God drove many scientists to search for scientific truth. Dave: But that view in contrasted by the fact that many of the greatest scientific minds have seen our planet as a special place, that God created and takes note of. Jeff: Their belief in God led them to believe that there must be order in the Universe; the mind that created did so with organization and methods.